Shop garage doors, roll-up doors and business entry doors. Need a new door or need a repair, call us. Chain hoist or opener lifted doors, depending upon your setting. We can install openers or go with the more traditional chain hoist. Full view glass doors or solid metal doors, each is it’s own challenge. Let D&L commercial garage door expert team help you! 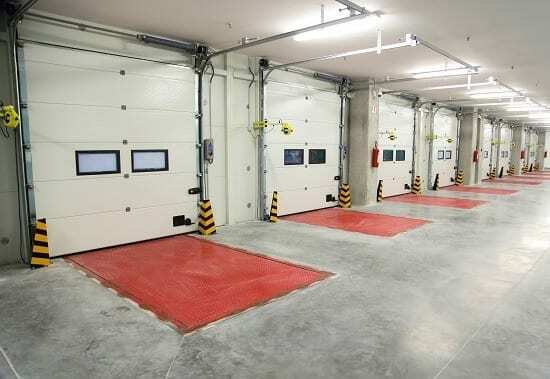 Vertical lift doors go straight up in a commercial warehouse or hanger. Height also matters. These doors again need annual maintenance to avoid failure of parts or damage caused by part failure. High Lift doors are similar to vertical lift but eventually roll up and rest on a horizontal rail when open. This is similar to a residential garage door but on a bigger scale. These doors can make a service business more inviting, such as a full view door for a restaurant. 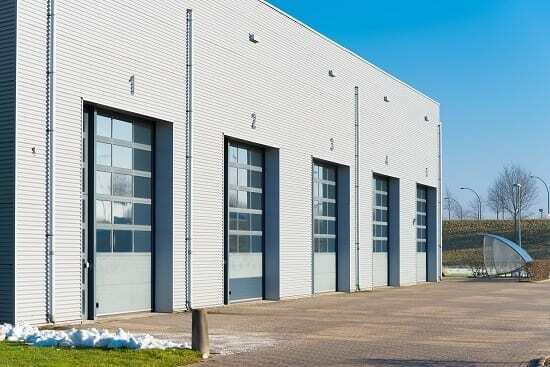 Here, no different than vertical doors, maintenance is very important. For safety if for no other reason. There could also be a desire to have or maintain the system on roof-pitch doors. This type of system accentuates the open feeling when the door is opened. The rails on these doors follow the interior roof line. R-values vary from 0 for just a steel door up to 25.8 for a triple layer door. Depending on supplier, various colors are available also. Go bold with the color of your choice. Steel door, vinyl backed door or steel backed door, your choice. Windows can be had in glass or Plexiglas. Insulated glass or not. Tinted, frosted or opaque. These choices bring you almost endless options. Fire house doors to warehouse doors, D&L can repair or maintain your door. Need a new commercial garage door? We have a wide selection of models with the specifications to meet your needs. Aluminum or steel, anodized or painted with almost endless window options. Repairs are quick, we carry a large selection of spring sizes and can get most custom size springs made in a day. So, for your garage door needs, call D&L Garage doors.